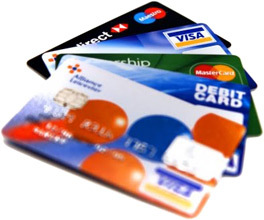 Statistics show that accepting credit cards can increase sales by 30% or more. This applies to online as well as on-site sales. One sure way to grow your event is to accept credit cards. World Dance Registry offers more payment options than any other dance event registration software in the industry. Every event is different; contact us to help you find an option that’s right for yours. Use any of the most popular payment gateways available today. Your customers are smoothly guided through an intuitive order process. Choose one of the following 4 credit card processing options: Stripe, First Data, Authorize.net, or Elavon, and your customers never have to leave your custom styled registration site. Accept credit card payments securely. Our payment processing meets the highest standards of e-commerce security.